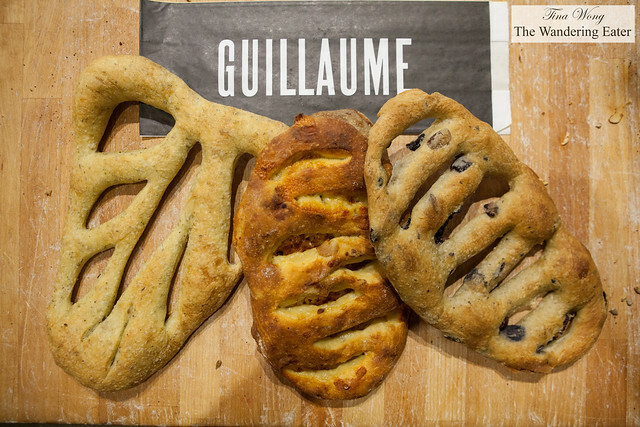 Boulangerie Guillaume is a popular Mile-End bakery on St-Laurent Boulevard. 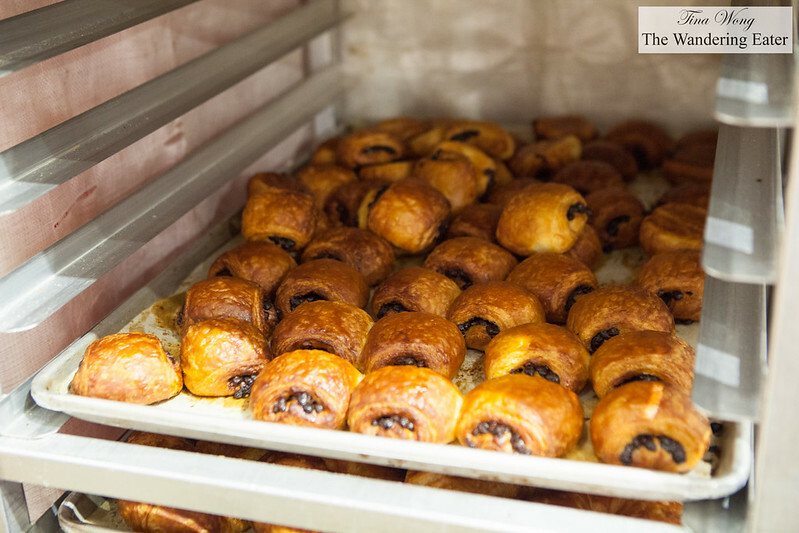 The proprietor Guillaume Vaillant learned his craft on the job and opened this bakery in 2010. He combines traditional methods and artisanship to produce a unique selection of loaves, baguettes and savory treats. 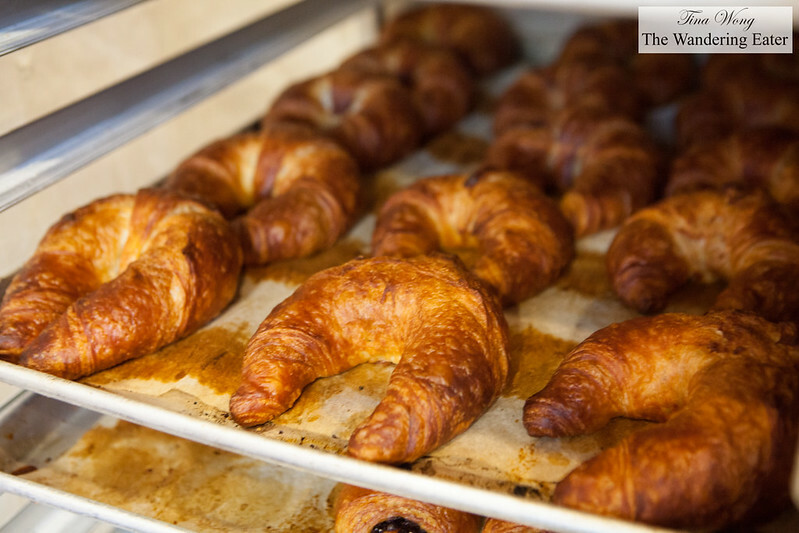 When you enter this small bakery (on the retail front) on an early Saturday morning, you’re greeted by the delicious aroma, the sight of beautiful shades of golden brown deliciousness of fresh baked bread and the sweet ladies at the front with a gentle bonjour. 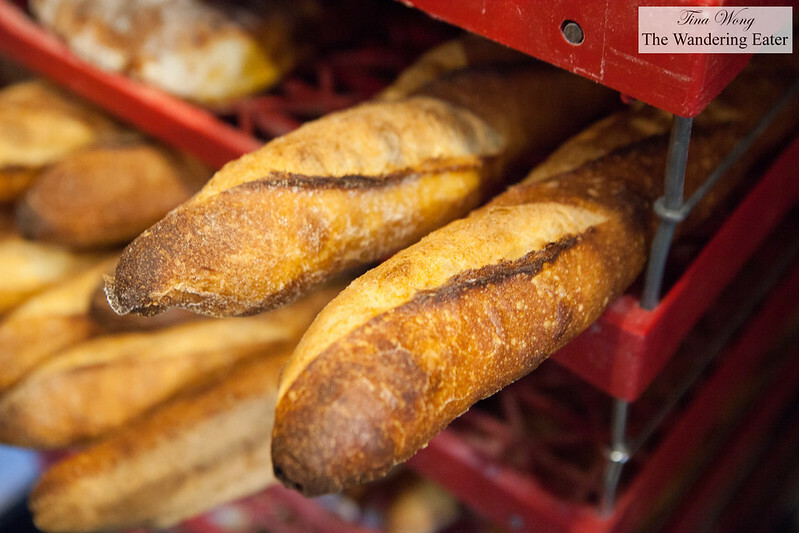 There were at least thirty different loaves when I arrived and many more were breads in tall plastic crates and rolling carts filled with aluminum trays. The bakery is open to the view the staff preparing the day’s sandwiches, placing breads on display and preparing the deliveries to various restaurants. 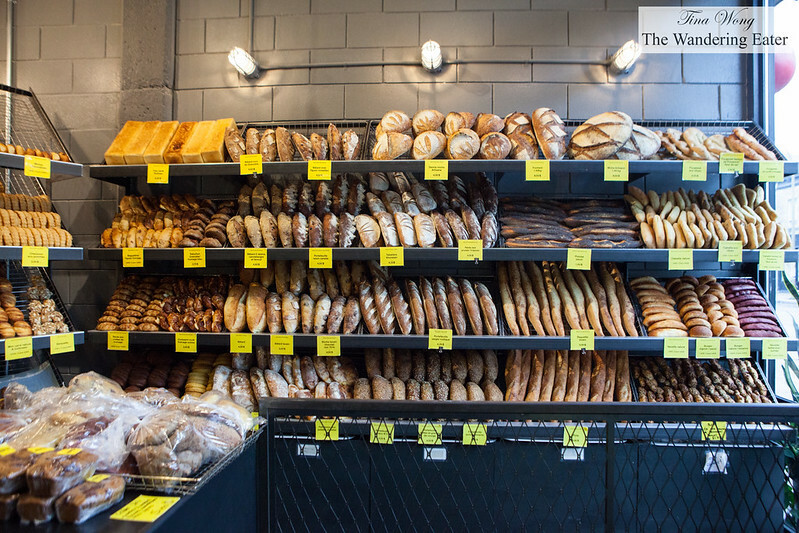 By 8 AM, the local customers three rows deep, piling in and ordering bags full of their freshly baked breads and pastries and cups of coffee to go. 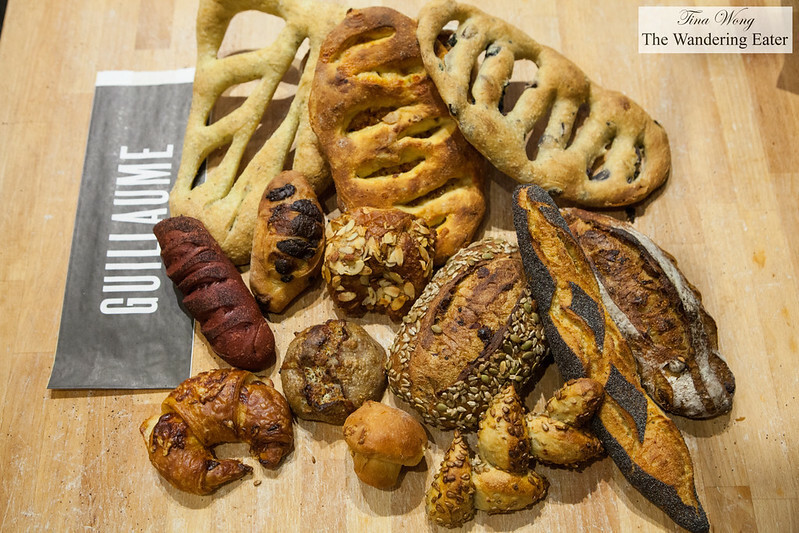 I admit, I’ve indulged in their amazing breads (prices ranging from $1.50 to $5 CAD). They are all made by hand and with lots of love and care. 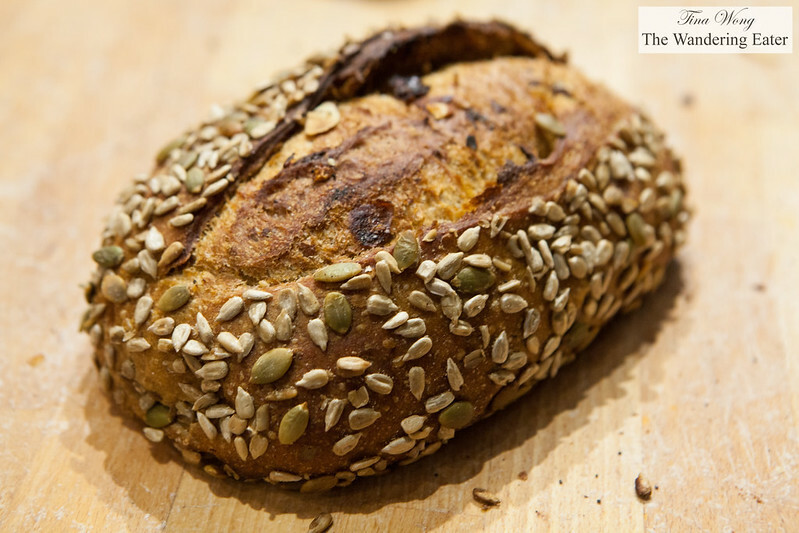 The seeded loaf sourdough is loaded with tons of sunflower seeds and the bread’s crumb was perfection with the holes. Same goes for their heavenly fig and hazelnut loaf. 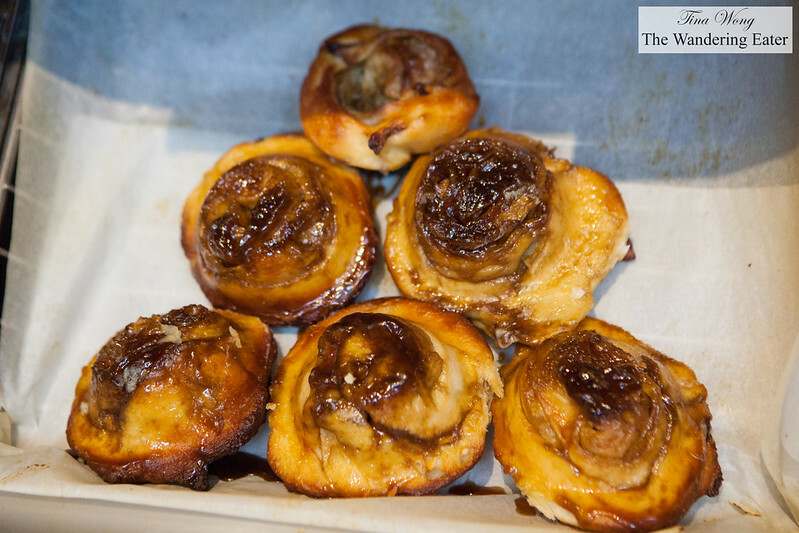 Subtly sweet from the dried figs and the nutty hazelnuts paired wonderfully. The pistolet pavot, a baguette-like bread heavily coated in poppy seeds was tasty. It’s wonderfully chewy and the poppy seeds added a particular floral nuttiness to the bread. 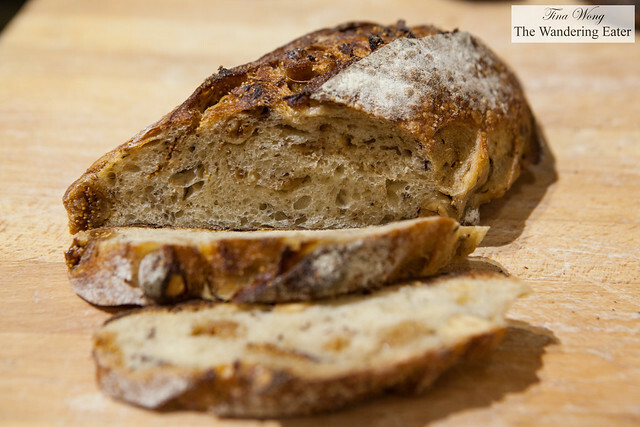 Their fougasses (the thin breads slashed into what looks like ears of wheat) are delectable. Crusty, chewy and tons of flavor (it’s packed with tons of black olives (if it’s an olive fougasse), herbs, and so on). If you want something more portable for your morning pastry, the cheese croissant ($2.50) was sublime. Loaded with a mix of cheeses but the buttery croissant still shined. 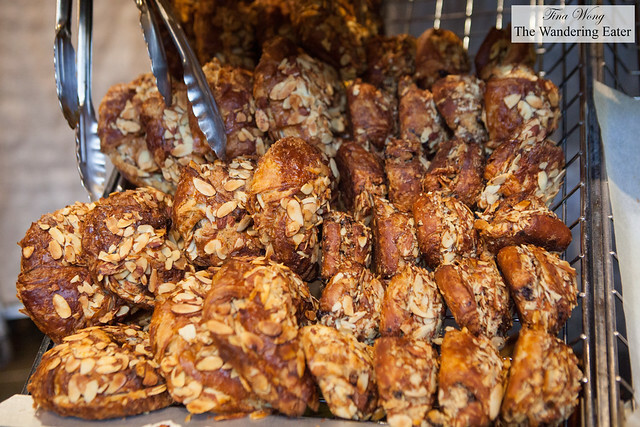 The almond croissant is stuffed with flaked almonds that every bite, there were almonds dropping like wisps of crispy croissant layers. The mushroom-shaped broiche was deliciously sweet, rich and dotted with chunks of creamy white chocolate. If you really love bread, Boulangerie Guillaume is a must stop in Montreal. 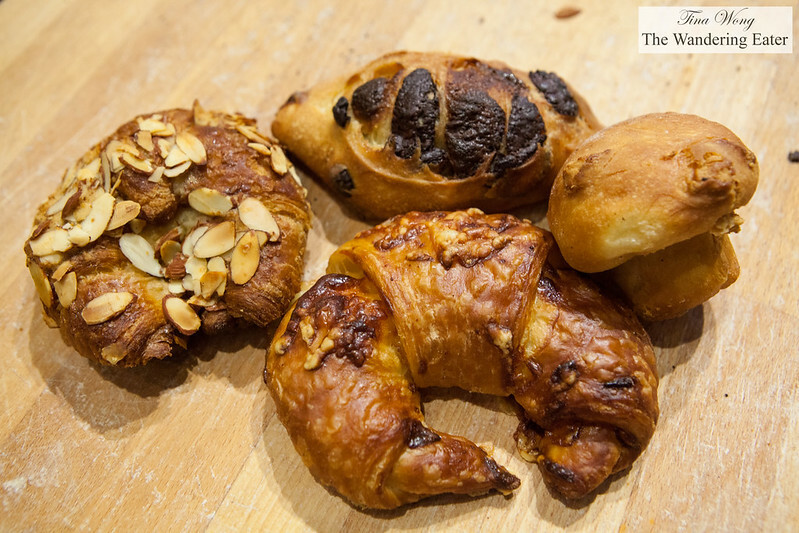 Everything is delicious and you can have your fill of savory or sweet to start your day or any meal on a great note. Hmmm, never tried apple buns before. They look delicious. 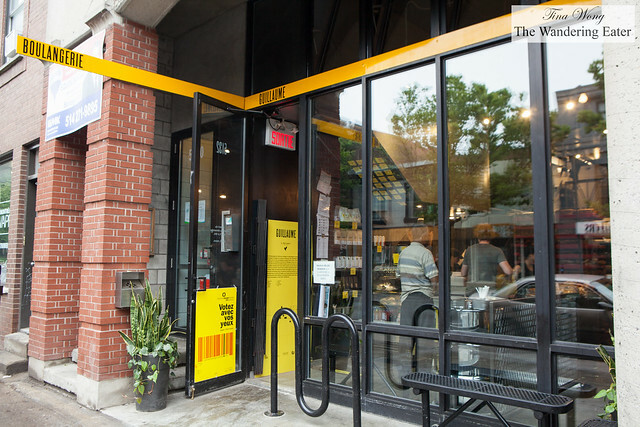 These patisseries in Montreal that you have posted about are very interesting. I would love to visit those someday.